After all the twist and turn of 45 days in the league round, we are at the penultimate stage of this BBL08 season. The four teams that are qualified for the playoffs are Hobart Hurricanes, Melbourne Stars, Melbourne Renegades, and Sydney Sixers. 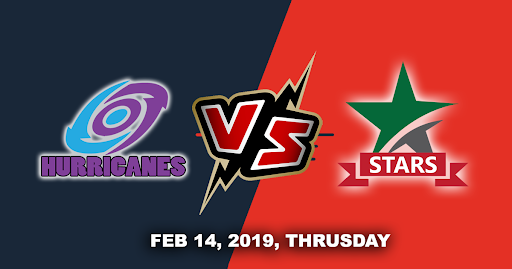 Melbourne Stars will be up against the Hobart Hurricanes at their home ground Bellerive Oval on 14th of February. Stars have clawed their way into the semis by defeating strong Sixers unit clinically by 94 runs. They posted a good total of 168 runs and then defended that score like a champion, this match will give them a big boost as they head towards semis. They would hope that like of Marcus Stoinis(476) who has been standout at top of the order along with Lamichhane replicate their performances in this knockout match. On the Other Hand, Hobart Hurricanes have been ruthless, consistent and the standout team of the tournament. The leading run scorers of the Tournament are also from their team, right at the top D’Arcy Short (602 runs) and Matthew Wade (590 runs) are at First and Second position. Along with them, Experience of Bailey and Power hitting of McDermott have come good as or when required. The big news for them is James Faulkner is back in the squad which makes their team even stronger. 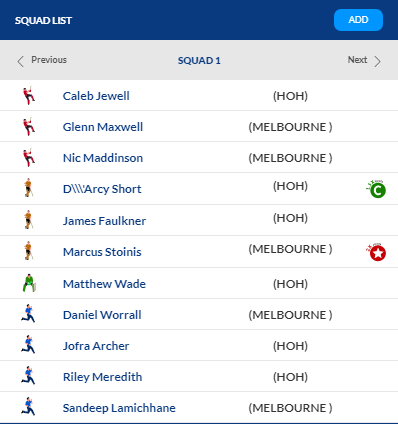 Hobart Hurricanes will definitely win this match as they much better team than Stars.